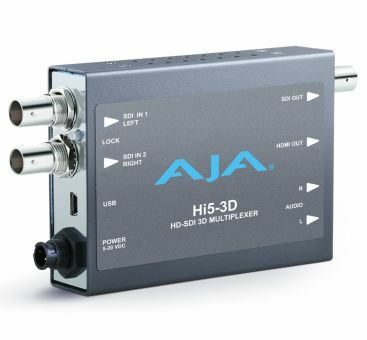 The Hi5-3D supports, depending on the video format, "side-by-side", "top-bottom", and "frame- packing" 3D modes. The "side-by-side" and "top-bottom" modes involve compressing, either horizontally or vertically, each input for combining into a single video stream at the same rate of the inputs. The "frame-packing" mode stacks two full resolution inputs into a "tall" frame (at twice the clock and line rates). When selected, "frame- packing" can only be used with 23.98 or 24 input frame rates.